In a Nutshell: From small businesses to enterprise-level corporations, BigCommerce has built an e-commerce platform that fosters growth for all of its clients. BigCommerce excels for retailers by loading pages fast, offering designs to handle high-volume traffic, and ensuring the shopping experience is seamless. Because of the adaptable and efficient platform it offers, BigCommerce is our Editor’s Choice for Scalable E-Commerce Software. Whether it’s a small business or an established retailer, revenue growth through e-commerce can be challenging. From creating an appealing website to tracking inventory and sales, running an e-commerce business is hard. Retailers large and small often run into the same problems, as they want to maximize profits but success can mean they outgrow the technology they are using. Online retailers can’t afford downtime or an unreliable consumer experience, but that reliability is in the hands of their website platform provider. That’s where BigCommerce comes in. The e-commerce software company helps small businesses and established online retailers grow their online sales with innovative features and responsive analytics. Companies using BigCommerce see close to 100% uptime and an average of nearly 30% growth at a cost that is about one-quarter less than comparable platforms according to the global market research company Ipsos. Its robust software and ability to work for businesses at every level — including growing with small businesses — is why BigCommerce has earned our Editor’s Choice for Scalable E-Commerce Software. “We want to be the leading e-commerce provider in the world and are doing that by creating and delivering software that changes people’s lives,” said Cheri Winterberg, the VP of Communications at BigCommerce. BigCommerce founders Eddie Machaalani and Mitchell Harper met in an online chatroom for developers and discovered they shared an interest in creating an online shopping cart. Founders Eddie Machaalani and Mitchell Harper had a vision to help businesses grow online. Now, after years of hard work and growing the company, BigCommerce is one of the most influential companies powering some of the world’s most successful online stores and serves more than 70,000 active stores. Among its nationally recognized clients are Toyota, Payless Shoe Source, and Schwinn. But small, fast-growing businesses have flocked to the platform for its innovative technology, helpful analytics, and customer support. “The founders wanted to build their platform to help businesses of all sizes — brands that are just getting started and established brands — to start selling online and be able to reach consumers everywhere,” Cheri said. Not all businesses are created equal, so BigCommerce helps online startups advertise and market their businesses with growth in mind. BigCommerce’s effective features include competitive online marketing, measuring your business, and driving traffic to a site. Innovative social media and email marketing tactics help expand a merchant’s reach and grow online sales. BigCommerce is dedicated to providing retailers with solutions to connect with customers across a host of social media sites. BigCommerce also allows retailers to integrate their store on social sites. On Facebook, an entire product catalog can be added to a business page, and with Pinterest, buying items is as easy as pinning them to a mobile shopping cart. 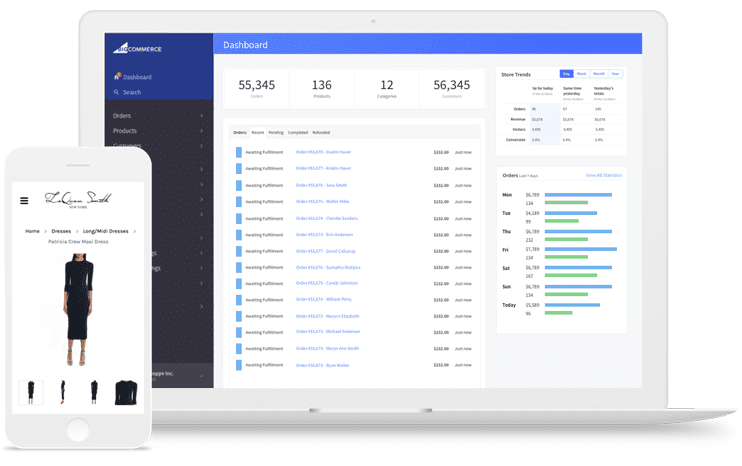 BigCommerce has everything retailers need to expand their businesses, including checkout optimization to convert mobile shoppers and built-in marketing tools. From supportive customer service to helpful resources, BigCommerce strives to answer every question so you can focus on what you do best: running and growing your business. BigCommerce provides a seamless experience across devices and gives retailers tools to help boost conversions. ManCrates, the online gift box service that is “unabashedly masculine,” looked around quite a bit before deciding to use BigCommerce to merchandise its products in 2011. Through BigCommerce’s cloud-based, adaptable platform, ManCrates increased not only its traffic but also boosted conversions more than 200%. “Business owners can count on BigCommerce to help them as they’re launching their store and as they grow their store,” Cheri said. Because the BigCommerce platform is scalable, ManCrates can continue growing without limitations. With more than $5 billion in total sales processed, BigCommerce offers reliability at every stage of a business’ development. And because it can easily scale with retailers throughout the process, merchants, like ManCrates, can grow nearly twice as fast as the industry average. A wide range of retailers, in industries from fashion to electronics, have found similar success using BigCommerce. “We continue to add new functionality every month, and every year we’re expanding the platform,” Cheri said. 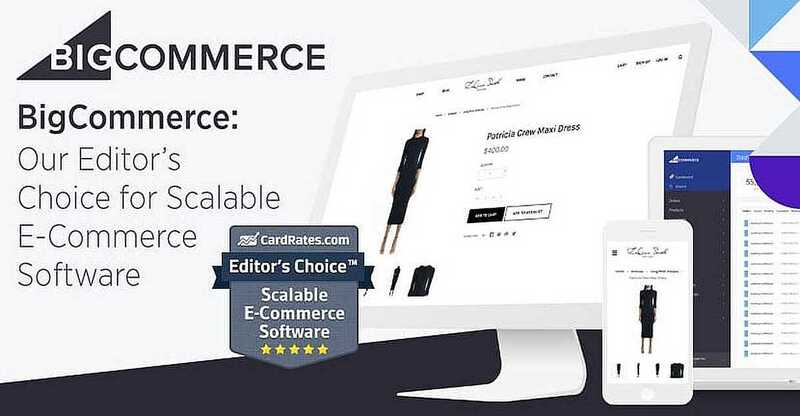 For the flexibility to work with companies of any size and its ability to grow a retailer’s revenue, BigCommerce has earned our Editor’s Choice for Scalable E-Commerce Software.